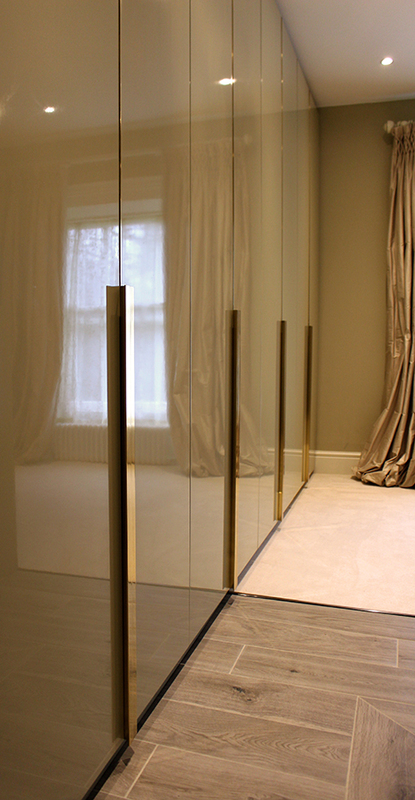 This project started when we were asked to make a pair of brass framed mirrors. Then we were asked to make the brass framed shower doors. 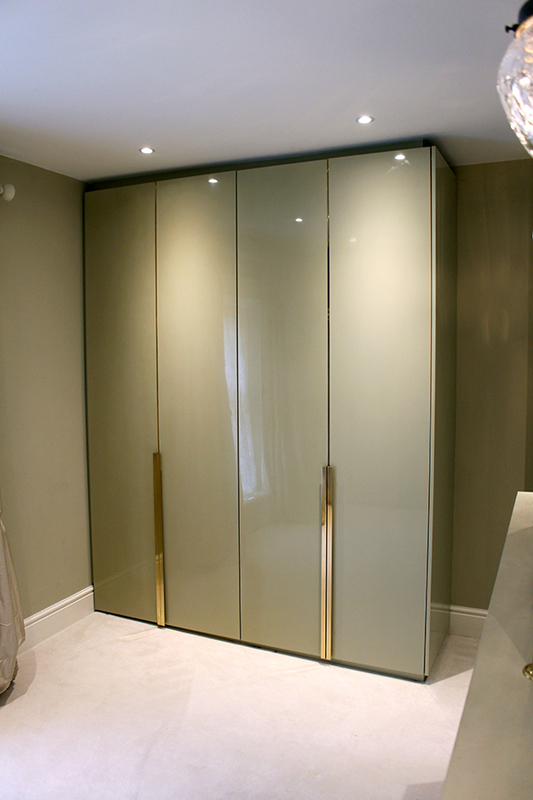 It was after this the client wanted to keep the brass theme going by incorporating it into the wardrobe doors. This room is all about the brass. 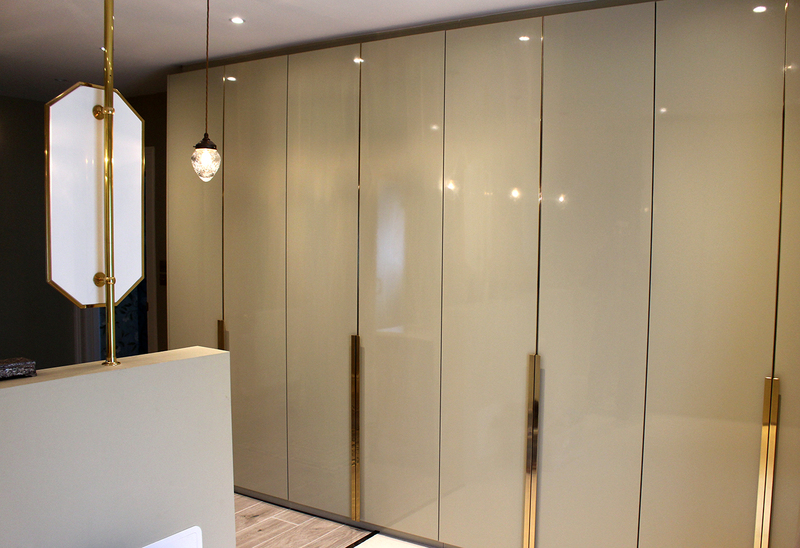 We used a gloss lacquer and polished each door by hand to make it smooth and glossy. The brass handles were hand polished and coated in a hard wearing lacquer to keep that shine. It's always great when the customer comes back and even better when we get to work with nice materials.